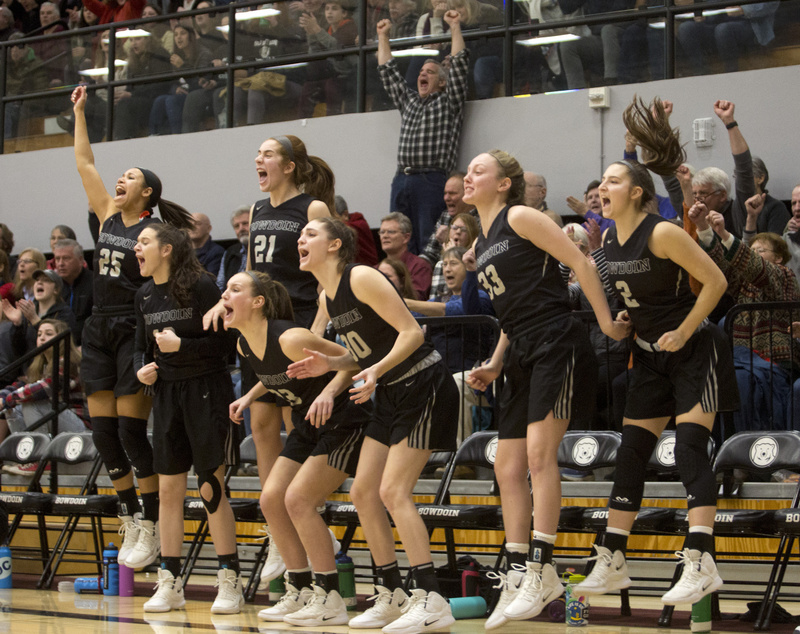 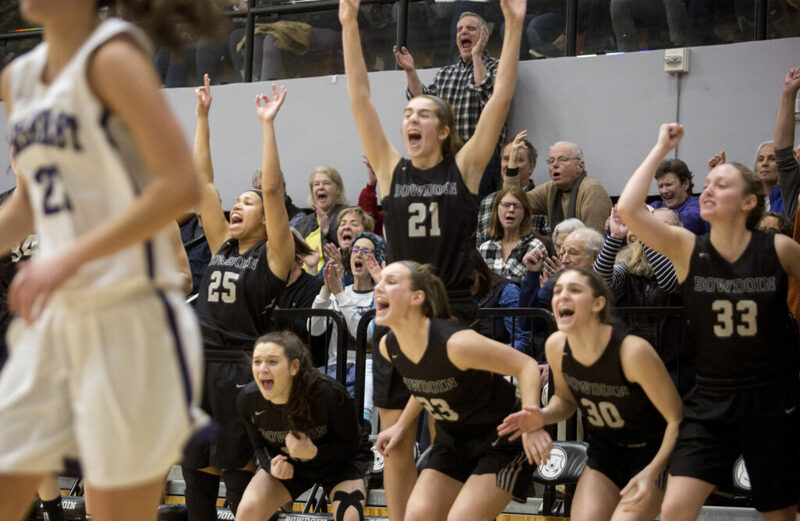 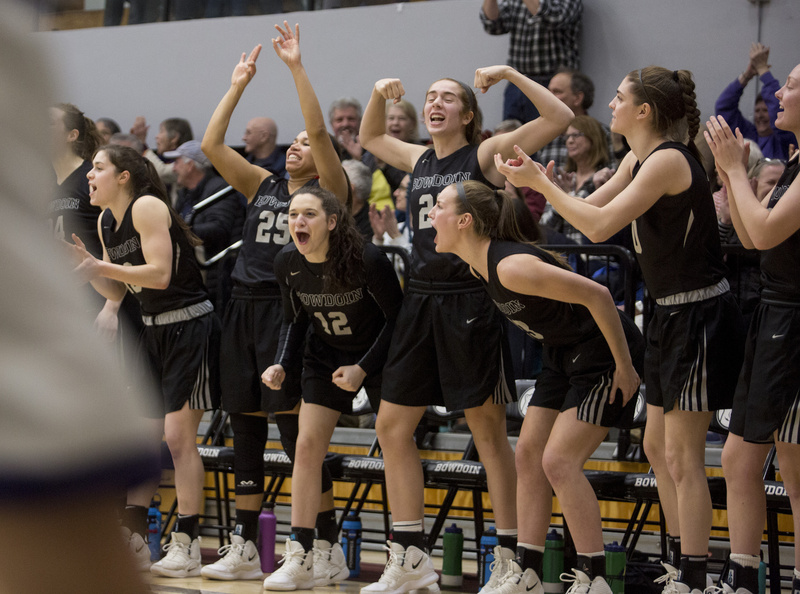 Bowdoin players and fans celebrate during the Polar Bears' come-from-behind 65-56 win over Amherst on Saturday in Brunswick. 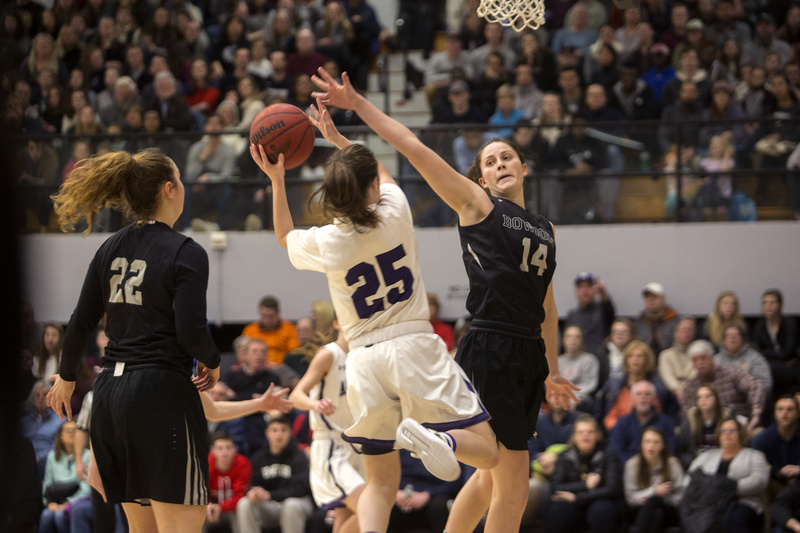 Bowdoin's Taylor Choate passes the ball to teammate Maddie Hasson while being defended by Amherst's Courtney Resch, left, and Maeve McNamara during the Polar Bears' 65-56 win Saturday in Brunswick. 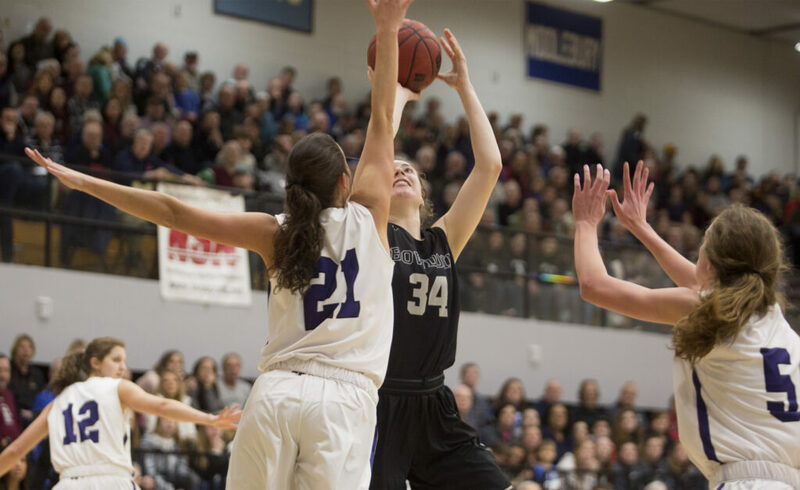 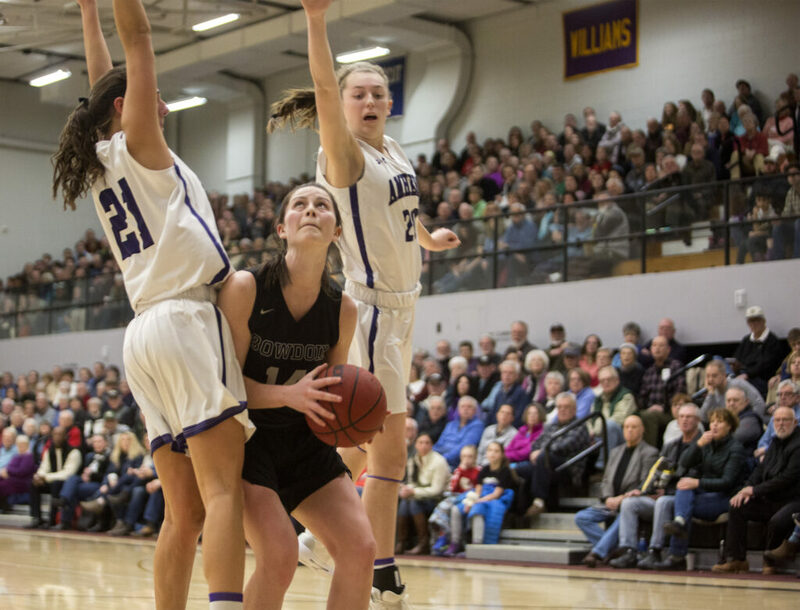 Bowdoin's Maddie Hasson makes a move while being guarded by Amherst's Cam Hendrick, left, and Courtney Resch during the Polar Bears' 65-56 win Saturday in Brunswick. 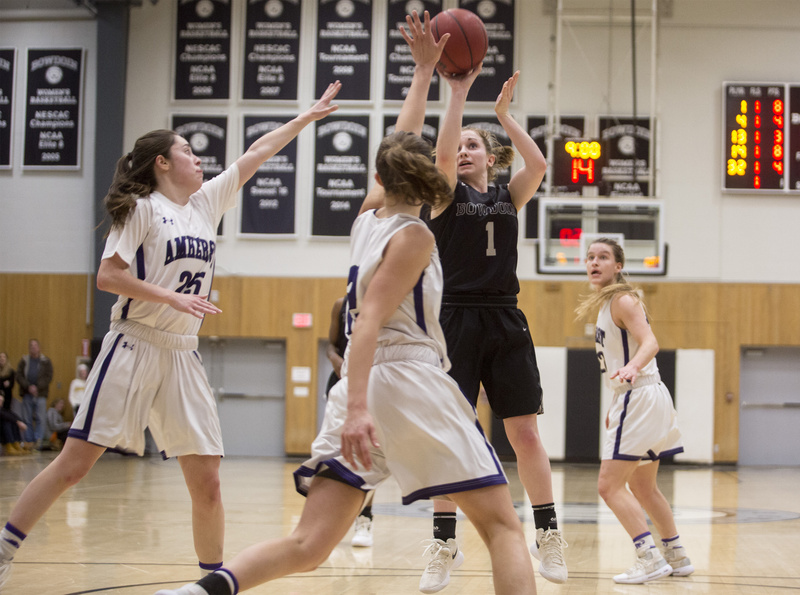 Bowdoin's Samantha Roy takes a shot in the fourth quarter of the Polar Bears 65-56 win over Amherst on Saturday in Brunswick. 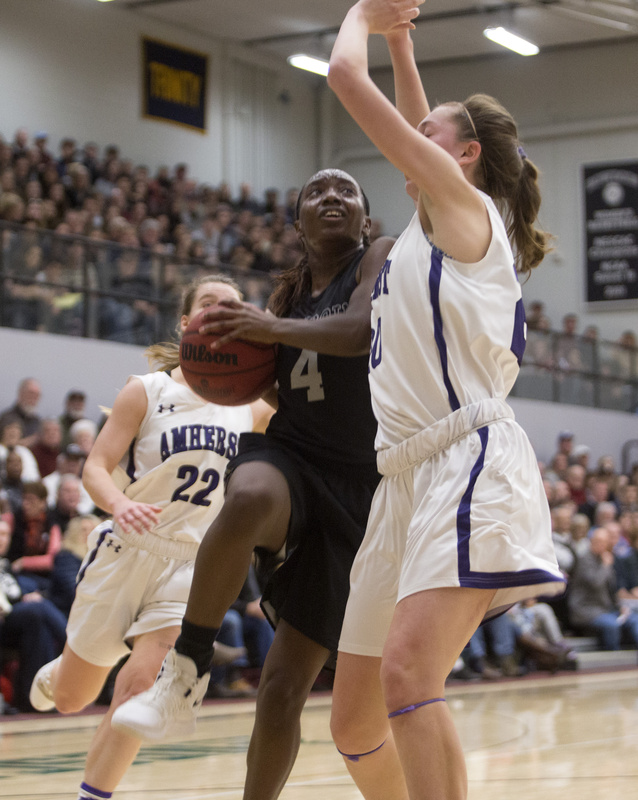 Bowdoin's Cordelia Stewart goes up for a shot while being defended by Amherst's Cam Hendricks during the Polar Bears' 65-56 win Saturday in Brunswick. Bowdoin's Maddie Hasson blocks a shot by Amherst's Hannah Fox early in the second half of the Polar Bears' 65-56 win Saturday in Brunswick. 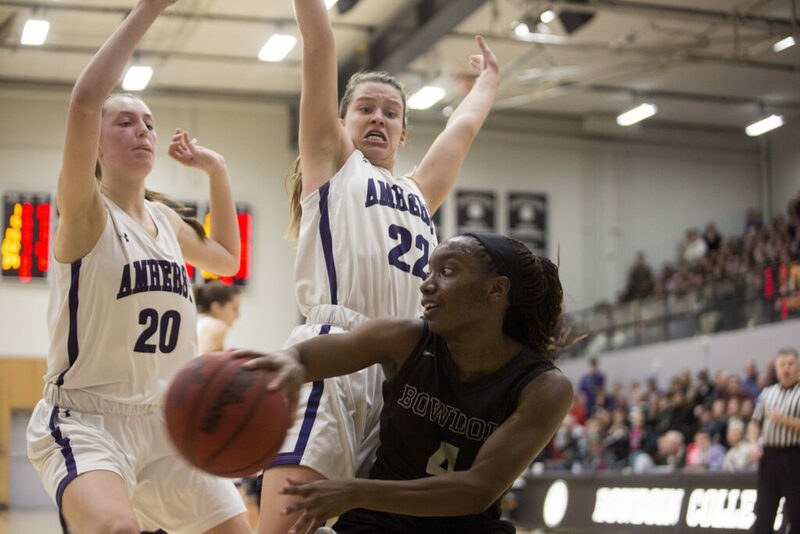 Bowdoin's Taylor Choate drives to the basket during the Polar Bears' 65-56 win over Amherst on Saturday in Brunswick. 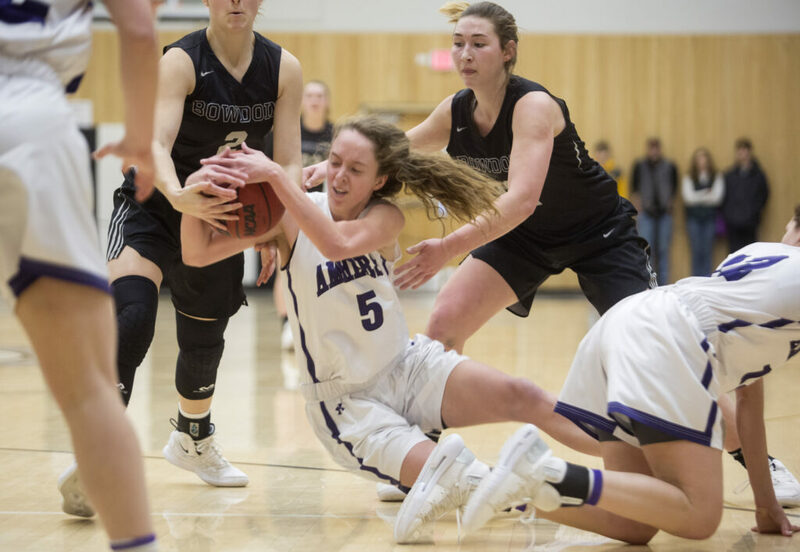 Amherst's Meghan Sullivan fights to keep the ball against Bowdoin's Sela Kay, left, and Hannah Graham during the Polar Bears' 65-56 win Saturday in Brunswick.